ITZ puts together teams in a very thoughtful way to promote team work and well-rounded skill sets. The players are challenged and seem to contribute their best efforts to win tournaments! Having the colleges coaches attend practices and give real-time feedback is extremely positive!!! I have never seen players so motivated to get better. The college recruiting workshops are extremely motivating as well. Furthermore, the one-on-one lessons at ITZ are excellent, and instructors have wide range of availability to accommodate schedules. As a result, players can advance quickly in pitching and hitting. 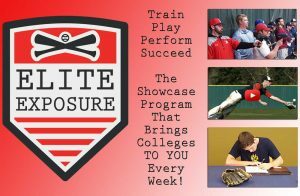 I don’t know any other club that combines College Mentoring, Quality Lessons, and the Showcase Team concept, while keeping the fun in hard work. We are very happy to have found ITZ.